To meet the specific needs of contractors, home builders and related trades within the construction industry, contractors turn to us when they need a Hampton Roads CPA Firm that concentrates in the construction industry. Our industry focus has enabled us to achieve a depth of knowledge and experience that is unequaled by the average CPA. We offer many specialized bookkeeping and construction accounting services to meet the unique financial needs of your industry like job costing and fixed asset accounting. We can also provide other more traditional bookkeeping services like sales tax processing, bank reconciliations, and monthly closings. In addition to our construction accounting services, we'll develop a tax planning strategy that will keep more of your profits in your pocket. At Colonial CPA Group our construction clients range from residential to commercial to sub-contractors and related trades within the construction industry. To learn more about how we can assist your business, contact us at 757-483-0006. 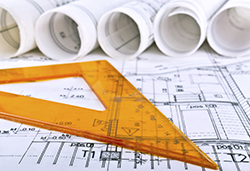 We offer a FREE initial consultation for construction businesses.